Since vacation is on everyone’s mind now that summer is in full swing, let’s just look at works of art that spout vacation, special day off, or festival. 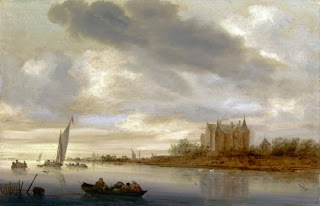 And, yes, this can be an art historical exercise too! Thomas Cole—yes he’s an ancestor of mine—is my favorite of the Hudson River School artists because he brings the “romantic” into the style of Romantic Realism. 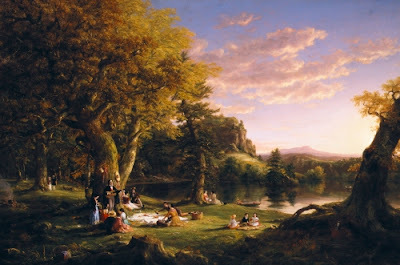 The Picnic is a perfect example of nostalgia for the American wilderness that was rapidly disappearing at the time (see my post from July 15th for more about nostalgia in art). My favorite part of this painting is the clouds, which remind me of Dutch Baroque landscape painting in which clouds always figure importantly. Is this the classical reference to thought? The phenomenon of “poster stamps” raged in the early 1900s. They were stuck on packages being shipped, advertising mailings, brochures, and pamphlets. 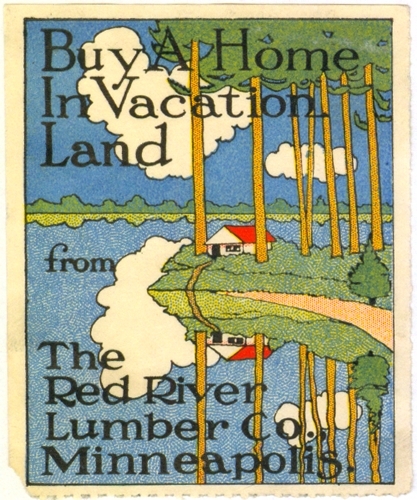 It is such an interesting part of design history, especially since they reflected the artistic styles of the day. This one reflects an Art Nouveau aesthetic. The chrysanthemum is the national flower of Japan. It figures prominently in the debate in Japan about the merits of spring and autumn gardens. The Chrysanthemum Festival in the fall elicits beautiful arrangements of the flower, but also encourages contemplation on the possibility of snow falling on the fading blossoms. 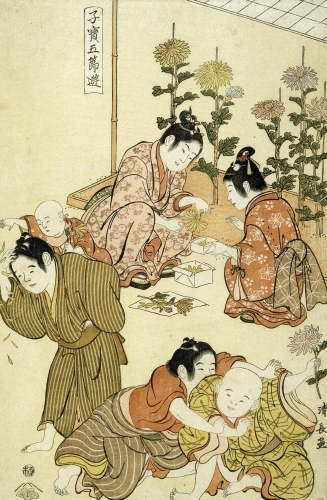 This print shows children preparing (in a manner) for the festival. Like many artists who matured during the Great Depression (1929–1940), Marion Post Wolcott was interested in the human experience. 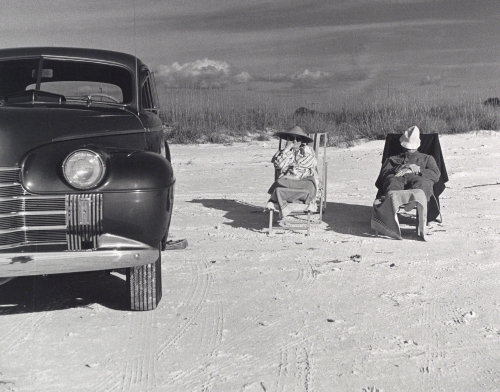 This image of a couple on a beach in Massachusetts is an example of the frank lack of money to travel except to nearby locales. Even in winter it’s nice to get away! 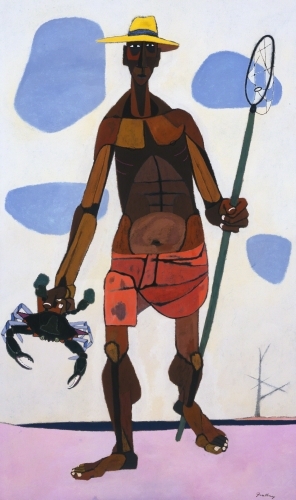 I leave you with Robert Gwathmey’s depiction of a tourist on the outer banks of North Carolina. Gwathmey was a social realist from Virginia who was keenly interested in daily life, particularly of African Americans. Here he represents an uber-tanned tourist with his catch for the day.